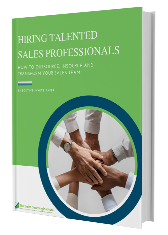 Is your organization expanding, but you're not quite ready to hire a full-time Vice President of Sales just yet? Allow us to help. When you hire one of our Virtual VP of Sales, Virtual Sales Manager or Virtual Sales Assistant you get ALL of the benefits of a dedicated Vice President of Sales at a fraction of the cost. The Sales Coaching Institute’s professionals coach your staff, improve the quality of your leads and creates and maintains a companies culture that works for your organization. Our seasoned virtual sales managers / virtual VP of sales professionals provide your organization’s sales force with the leadership they need to improve sales strategies, clarify sales objectives, and ultimately improve sales numbers. We develop your sales forces skills and attributes so that they can help your organization grow exponentially. By building a solid foundation for your sales force you are strengthening your organization to handle growth efficiently and effectively. We give your organization a competitive advantage by providing you with experienced sales leaders that have successful sales and sales leadership track records. Our Virtual VP of Sales professionals provide cost-effective leadership and expertise across multiple disciplines. Contact us today to customize your Virtual Vice President of Sales plan designed to take your sales to the next level. Ask about our FREE sales organization SWOT analysis.